Just eight best picture nominations this year and a list of contenders that clarifies what a kickass year 2018 was for female roles. Well done, chicas! Do we have gripes? Well, honestly, not too many. Here’s the rundown. This is a good list. Strong. Not a lot of bones to pick here. Our heart goes out to anyone trying to narrow this field down to a single winner. Wouldn’t have minded seeing Nicole Kidman (Boy Erased) or Thomasin McKenzie (Leave No Trace) get in, but how to make the room? We love Sam Elliott. Honestly, who doesn’t? Driver and Rockwell, too, and all were amazing in their respective films. But we would have had to leave them off in favor of Michael B. Jordan (Black Panther) and Lucas Hedges (Boy Erased). But no Timothee Chalamet for Beautiful Boy? That might be the biggest snub this year. Another solid list, although how the entire world ignored three insane performances from Joaquin Phoenix this year—You Were Never Really Here, Don’t Worry He Won’t Get Far on Foot, The Sisters Brothers—is beyond us. Please, please do yourself the favor and watch You Were Never Really Here. We’d have given him Mortensen’s slot, but we and the Academy disagree about that one particular film this year. We would also have made room for Ben Foster (Leave No Trace) with a Malek/Dafoe coin flip. We would have applauded nods for Elsie Fisher in Eighth Grade and Toni Collette for Hereditary, but holy cow, people, this is acting. This is the art and the craft, right here. No bones. No complaints. Just awe. Had hoped for Black Panther and Leave No Trace (in a whiplashed swing from “everybody saw” to “nobody saw”). Buster Scruggs was a surprise, but when is it ever a bad idea to nominate the Coens? What we would have given to see Bo Burnham’s Eighth Grade get some love here. Where would we have put it? Honestly, only The Favourite and Roma are better written, but in our book, it certainly deserved the slot designated to the self-congratulatory Green Book. Don’t mind the overrated Shirkers not making it, but shocked not to see Won’t You Be My Neighbor? here. Um…Burning? Really, did you just forget? We’re a little surprised not to see If Beale Street Could Talk or First Man included, but none of these are weak. This is just a fight for second place after Spider-Verse. Lee, Lanthimos and Cuaron, though, that is a trifecta we applaud until our hands ache. Only eight this year, which means we can wish for two without having to bump any. We wish for Eighth Grade and Hereditary. Then we’d bump Bohemian Rhapsody and admitted frontrunner Green Book in favor of Spider-Man: Into the Spider-Verse and You Were Never Really Here. There you go. We’ve dreamed up a nice list. 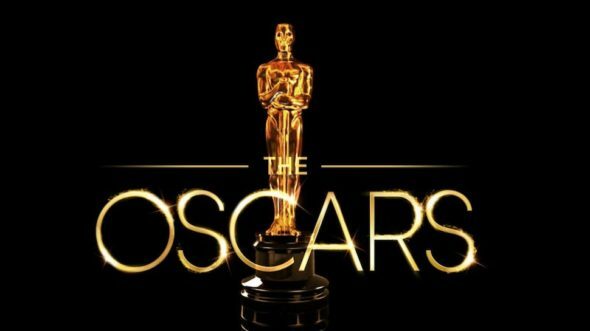 The 91st annual Academy Awards will air Feb. 24th on ABC.